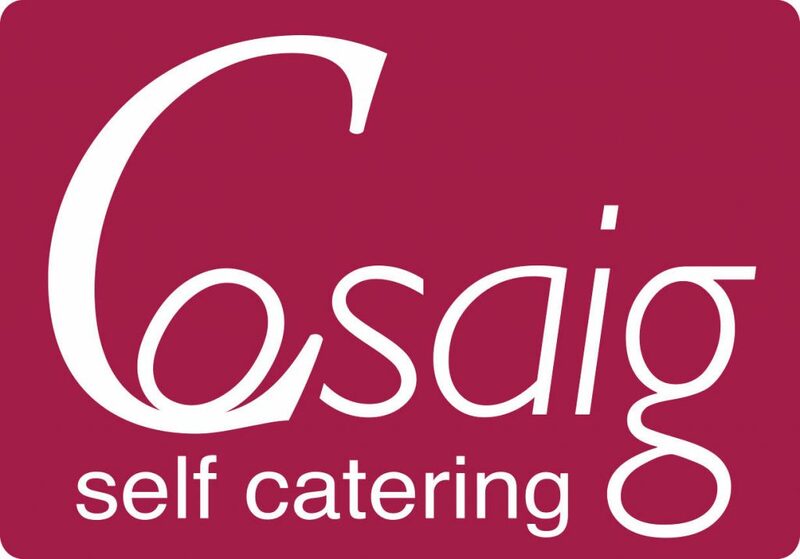 Thank you for choosing to book a stay at Cosaig. We look forward to welcoming you. By making this booking you are entering an agreement with us. Please read our terms and conditions of booking below. Cosaig is a no-smoking property. The price of the accommodation includes the following: Electricity, linen, towels, cleaning, hot water, central heating and any extra equipment that we have agreed to provide. Please inform us of any additional guests and/or dogs who may stay overnight in the cottage. For insurance and health and safety reasons we need to limit the number of bodies staying in the cottage. We also want you to enjoy your holiday in comfort. We reserve the right to ask you to leave without refund if you exceed the agreed number of people and/or dogs. We are generally very flexible, so do ask if you wish to have someone (or another dog!) join your party at the last minute. Wherever possible we will try to help. If more than 4 people are staying, we make an additional charge of £20 per person per week or part week. This is to cover additional cleaning and laundry costs. Well behaved dogs are welcomed and provided for by prior arrangement only at the additional cost of £15 per pet/per stay (up to a maximum charge of £45). Again this is to cover extra cleaning and laundry costs. If your dogs are sighthounds, we will donate the dog charge to the Scottish Greyhound Sanctuary. We ask guests to use the throws provided to protect the furniture in the cottage. For the comfort of our future guests and their dogs, we ask that you ensure that you dog is free from fleas and is up to date with worming treatments. We welcome children of all ages. Your booking will be confirmed upon receipt of a 25% deposit, to be paid within one week of our confirmation of your booking. The balance of the amount due is to be paid 8 weeks in advance of the beginning of your stay. If the booking is made within 8 weeks of this date, then the full payment will be required within a week of our confirmation of the booking. Payment can be made by cheque or internet transfer. If you wish to cancel the booking, please advise us by letter or email. cost. 0-2 weeks, 75% of cost. If we are able to re-let the property, we will reduce the cancellation charge by 75%. We will require a Good Housekeeping payment of £150, payable with the final booking payment, which will be refunded in full on cancellation, or on satisfactory handover of the property. We recommend that you take out travel insurance to cover any potential costs should you need to cancel your holiday. We would only cancel your holiday if your accommodation was unavailable for reasons beyond our control and we would refund all monies paid by you for the holiday. Our liability would not extend beyond this refund. Cosaig will be available to you from 3pm on the day of arrival, and the keys will be left in the key safe unless otherwise arranged. We may not be able to accommodate you if you arrive earlier than the agreed time as we will be busy preparing the cottage. 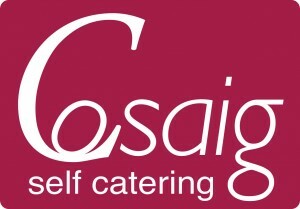 You will be sent details of how to find Cosaig and details of how to gain access when we confirm your booking. Please be ready to leave the Cosaig by 11am on the day of departure, unless otherwise arranged. Late departures mean that we may not be able to get the cottage ready for our incoming guests on time. We may therefore need to offer them compensation and/or pay for last minute cleaning assistance. Any extra costs we incur from guests’ late departure will be deducted from the Good Housekeeping Payment. We would however like to remind guests that it is their responsibility to act within the law, in particular to avoid the following: File sharing: downloading pirated material such as films and music. Visiting sites with illegal content. Downloading excessive amounts of data. This includes the download of legal (or illegal) films, game demos and online gaming which can equate to gigabytes of data. Please take care when staying in our property. You are responsible and liable for any breakages or damages, which you cause, to the accommodation or its contents. All we ask is that you report any incidents as they occur. We do not normally charge for minor breakages, but we reserve the right to deduct money from your refundable Good Housekeeping payment and/or invoice you for loss of income, repair or making good if the damage or breakage is significant. We do not accept any liability for any damage, loss or injury to any member of your party or any vehicles or possessions, unless proven to be caused by a negligent act by ourselves or our employees or contractors whilst acting in the course of employment. We have registered with the Information Commissioner’s Office and are aware of our obligations from 25 May 2018 to comply with the EU’s General Data Protection Regulation (GDPR). If you make an enquiry with us we would like to keep your contact details only so that we can send you details occasionally of any special offers at the cottage. Your address will be added as a blind copy to any special offer emails, so that others will not see it. Our booking form provides the choice of opting in or out of these emails. Our booking form asks only for details relevant to your stay and those which we are obliged to obtain by law. These details will be used for the purposes of managing your booking and any matters that may arise from your booking (eg for the purposes of returning property left in the cottage). details of their next destination (including the address, if known) on or before departure. We are proud to say that after a stay many of our guests ask us to let them know about future last minute availability. We will only send out this information if we have your express permission. You are free to change your mind at any time. Just let us know and we will remove your name from our mailing list. *WE WILL NOT PASS ON THESE DETAILS TO ANYONE ELSE unless required to do so by law. WE DO NOT TAKE BOOKINGS BY CREDIT CARD SO WILL NEVER ASK FOR THOSE DETAILS. IF WE REFUND YOUR GOOD HOUSEKEEPING DEPOSIT BY BANK TRANSFER OUR BANK WILL KEEP YOUR PAYEE DETAILS. THIS INFORMATION WILL NEVER BE PASSED TO ANYONE ELSE. Action-Packed or Leisurely? There’s something for everyone in the Tweed Valley.